We have started a new chapter in the 400 year history of this beautiful early 17th century farmhouse, originally known as Hewitt’s Farm. 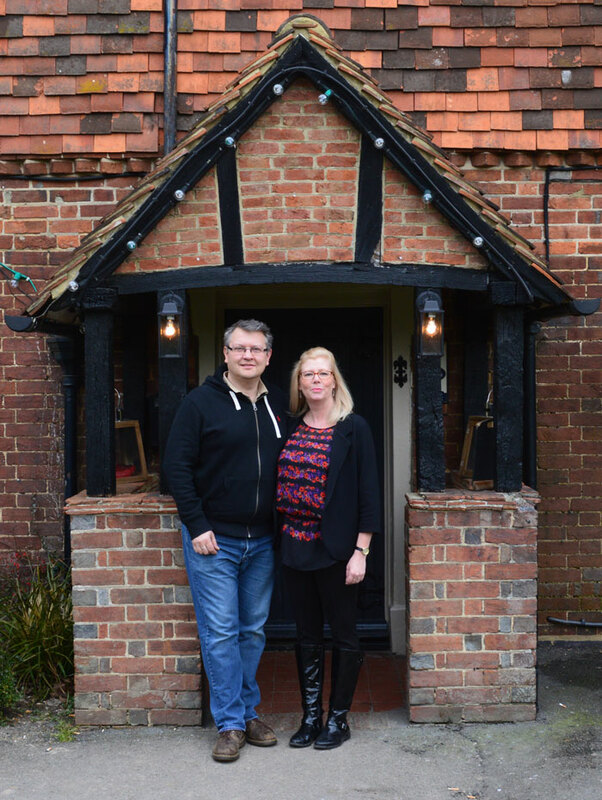 May 2015 saw the arrival of Tracy and her family at the Farmhouse. Tracy has brought bags of Canadian charm and 25 years experience in the industry to bring a fresh welcome and friendly atmosphere to the Farmhouse. You’ll often see her husband Mike pottering about in the background, who has also worked in the business all his career. And their 2 sons Matt and Tom now count as valued members of the team, whilst youngest Amy is waiting in the wings. The Farmhouse is a family friendly, and dog friendly traditional English Pub, set in a beautiful listed building, with a large garden, lovingly maintained by ‘Mick the Wood’, a children’s playground and large car park. There is also a terraced area that makes the perfect spot for a private outdoor gathering, such as a summer engagement party or anniversary get together. Beautifully situated on the edge of Langshott Wood, just outside Horley town, the Farmhouse is the perfect escape from the hustle and bustle of city life. Only a few minutes from Gatwick Airport, it makes a great venue for a pre or post flight dinner, with several guest houses and hotels in easy walking distance and many more a short hop in a cab. Tracy and her team, including Head Chef Nadia, have transformed the kitchen and it’s team to deliver a delicious menu of home cooked food, from locally sourced, fresh ingredients. You’ll find many of your favourite traditional dishes, plus a few surprises. Every Friday it’s Fish on Friday at the Farmhouse, when we add just a little more fresh fish onto the menu. And of course there’s our famous Sunday Roast, available from September to May. Our meat comes from Handcross Village Butchers, situated in the heart of Sussex for over 100 years and our fish from Upstream Seafoods, established over 25 years and with a clear sustainable policy. As a Cask Marque accredited pub you are always assured of a good pint, and there is also an extensive selection of wines. From June 2017 all our wines are supplied by an independent, 4th generation family run specialist wine merchants, H.T. White & Co. Based in Eastbourne, they have been suppliers to the licensed trade for over a century. Tracy and the Farmhouse team look forward to giving you a warm welcome very soon.